Here’s a new piece about me in the Charlotte weekly, Creative Loafing! Nice work by my neighbor, freelance reporter Vanessa Infanzon. 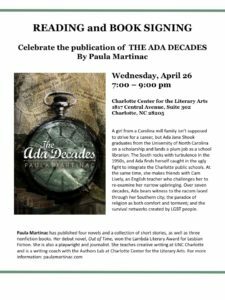 I’ll be celebrating the publication of The Ada Decades on April 26 at the Charlotte Center for the Literary Arts, starting at 7 pm. 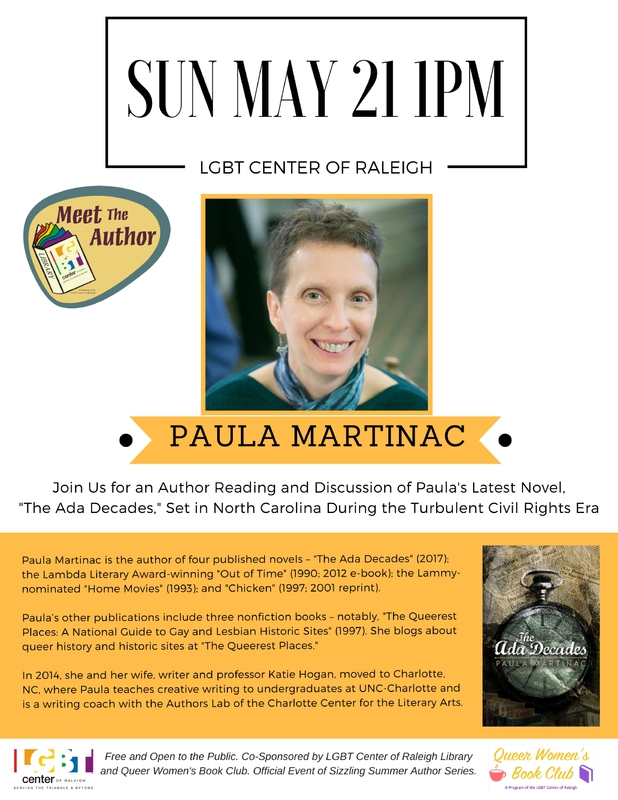 Come for wine, snacks, a reading and book signing, and literary camaraderie! 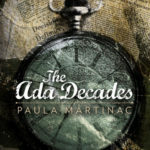 Here’s a great feature that Foreword Reviews did about my new novel, The Ada Decades! 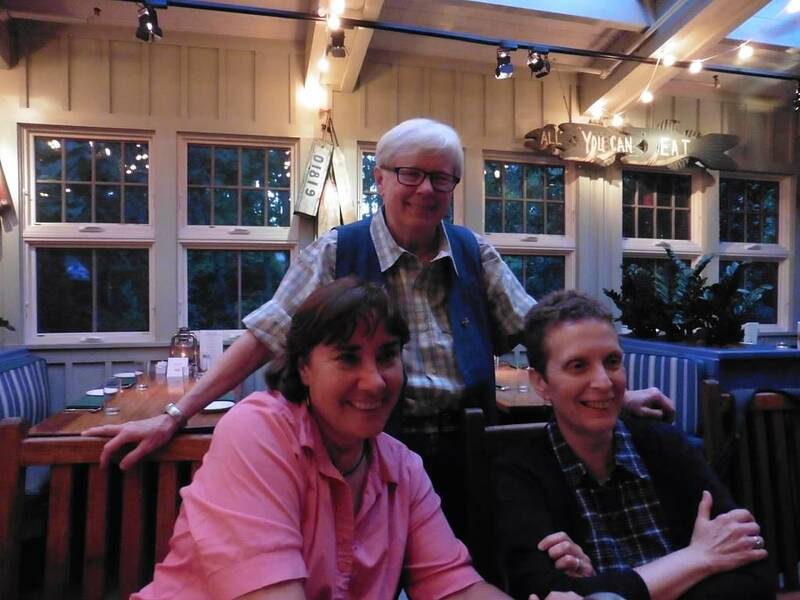 At the recent Golden Crown Literary Society convention in Alexandria, Va., I had the pleasure of having dinner with Bywater staff and many fellow authors – some I’d never met before but hope to meet again. What a treat! 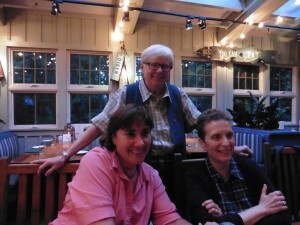 Here I am with Bonnie Morris and Lee Lynch (standing). 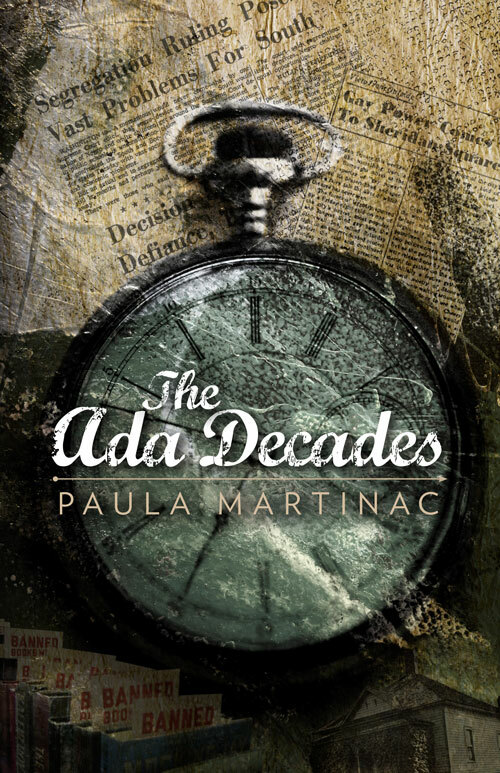 I was just notified that my short story, “Private Things” – which is part of my book The Ada Decades – was a finalist for the 2016 Thomas Wolfe Fiction Prize. I didn’t win, but at least I was within spitting distance – and they had a record 200+ entries. Ron Rash was the final judge. Feeling honored!